On a continuous basis, banks found new ways to create better customer experiences and streamline operational processes along many business lines. Banks have become both providers of technology as well as users, integrating advanced tools to improve the financial services offered to its clients, both in the corporate and retail business. According to Oliver Wyman, technology has grown to become 15–20% of the wholesale banking cost base. 62% of global banks expect to be digitally mature by 2020, compared with just 19% in 2018. Of the top 20 banks in Europe by assets, the average occurrence of the word “digital” in the annual reports was 55 times. The number of recruitment adverts on IT and engineering roles at banks across the EU in the first quarter of 2018 was 11.4 times higher than in the same period in 2015. Across the financial industry there have emerged a wide range of innovative business models and startups that have enriched the sector while broadening the choice for the consumer; from payments to lending and from risk management to entire new financial ecosystems. According to Capgemini, in Europe more than 2,000 startups dedicate their business to financial technology, while globally more than 7,500 startups provide valuable solutions for the industry. According to EY, fintech investments are surging, reaching €27 billion worldwide in 2017 alone, with €4.6 billion in Europe making this more than double the amount of a year before. More than half of this financing occurred in the business-to-business space. While technology adoption is providing many opportunities, new risks are also emerging. The physical appearance of banks might slowly be subject to change. Concrete examples of this include the way customers will be onboarded. 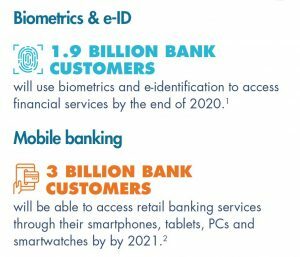 Goode Intelligence states that by the end of 2020, some 1.9 billion bank customers around the world will be using biometrics and e-identification to access financial services. This will be facilitated by mobile bank adoption. 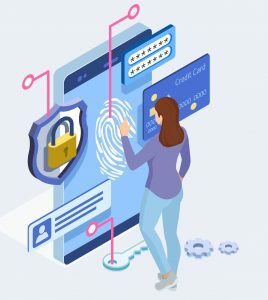 Mobile banking and e-identification change the front of banking services, but the behind the scenes bank processes are transforming even more notably, in particular the way financial institutions are generating and managing digital data flows. Distribution of data and data exchange is changing radically boosted by EU regulations. Accenture states that 90% of bankers surveyed believe Open Banking will boost organic growth by up to 10%. 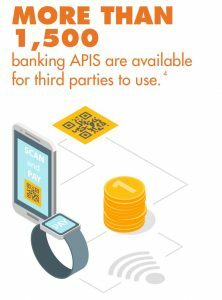 In 2017 the number of banking APIs available for third parties to connect reached 1,500, up from only 17 APIs ten years ago. Furthermore, the banking industry is leading the growth in big data and business analytics solutions, in which revenues will surpass €180 billion by 2020. Banks are hiring data scientists and integrating tools running on artificial intelligence (AI), robo-advice and cloud computing. Such advancements are much needed considering the enormous amount of data generated each day. Cloud computing provides the means to make other digital solutions scalable and cost-efficient. Gartner predicts that by 2020, a corporate “no-cloud” policy will be as rare as a “no-internet” policy is today. ActiveViam found in its research that banks’ IT budgets for public cloud projects will rise by 6-10% in the next two years. Simultaneously, 64% of banking respondents intend to migrate certain systems to public clouds in the next two years. More advanced technologies such as artificial intelligence and distributed ledgers are foreseen to have an impact in the near future. As of 2017, the financial services industry was spending about €1.5 billion per year on blockchain, according to Greenwich associates. IBM states that 91% of banks are investing in blockchain solutions. Moreover, banks are moving beyond the proof-of-concept stage and expect to roll out commercial distributed ledger technology products – 77% of financial services providers expect to adopt blockchain as part of an in-production system or process by 2020. AI is also expected to have widespread adoption in the banking sector. Some 67% of executives expect AI to result in a net gain in jobs within their bank in the next three years. 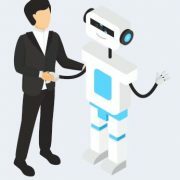 Accenture states that between 2018 and 2022, financial services companies that invest in AI and human-machine collaboration could boost their revenue by an average of 32%. At the same time Accenture estimates that due to the adoption of new technology such as artificial intelligence, the need for human expertise to implement this will rise and potentially could increase employment levels of organisations by 10% between 2018 and 2022. Moreover, 77% of banks plan to use AI to automate tasks to a large or very large extent in the next three years. Cyber threats are the single and most important risk to financial services today. Research indicated that enhancing cyber and data security is the number one priority for global banks. Increased interconnectedness between systems and new actors linking to the chain requires extra alertness on vulnerabilities. Fortunately, banks are not unfamiliar with protecting valuable assets. They did so for a long time. Artificial intelligence and advanced data analytics will be key in preventing cyber-attacks. The criminals behind the Carbanak and Cobalt malware managed to steal more than €1 billion from more than 100 financial institutions across 40 countries. Digital transactions in Europe were hit by 30% more cyber-attacks in the first three months of 2018 than in the first quarter of the previous year, according to ThreatMetrix. Besides security governance, technology solutions education and awareness are crucial to prevent vulnerabilities of the financial system. BBVA indicated that 69% of European companies lack basic knowledge about their exposure to cyberattacks despite 80% of them having suffered some type of cyber-incident in the past year. BBVA (2018) Is Europe prepared for cyberattacks? Gartner (2018) Market Insight: Cloud Computing’s Drive to Digital Business Creates Opportunities for Providers.